molly moon's homemade blog: To my favorite little salespeople: Girl Scouts! To my favorite little salespeople: Girl Scouts! I am so excited that cookie presale is upon us for 2011, and have high hopes that each of you will reach your cookie sales goals this year! As many of you know, I was a Girl Scout, a dedicated cookie salesgirl, and attended Alice Pittenger Girl Scout Camp for 11 years! I encourage all of you to use whatever Cookie Dough you earn this year to help you get to a Girl Scout camp near you and make the most of the character building experiences and fun that can only be had at camp! 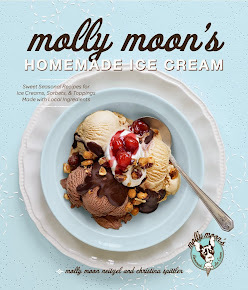 In spite of my best wishes for your cookie sales success, Molly Moon's Ice Cream got a little over-enthusiastic in our cookie purchases last year (We spent over $20,000 on Thin Mints!) and we need to take a year off from purchasing in order to use up those Mints! We will likely be back to buying cookies in 2012, but for this year, you all are going to have to hit the pavement a little harder without me. I hate telling any scout no, and I wish you all the best! Thanks for all of your past support! Although girls will be disappointed, it's a wonderful opportunity to show just how business works...Troop 41402 wishes you a happy new year and continued success with our favorite ice-cream shop! Thanks for your support, Molly! Looking forward to hearing you speak at the 99th Girl Scouts Birthday Party on March 11th!